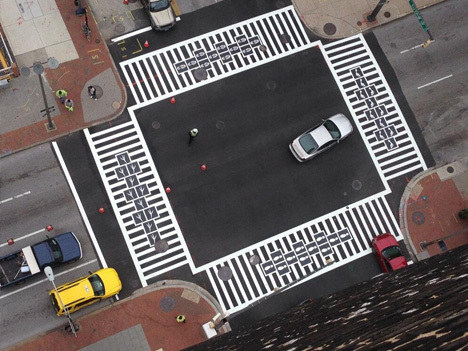 Sixteen crosswalks at four intersections in Baltimore are the subject of a street-spanning public art project that re-imagines white-on-black zebra striping, each with a unique twist. 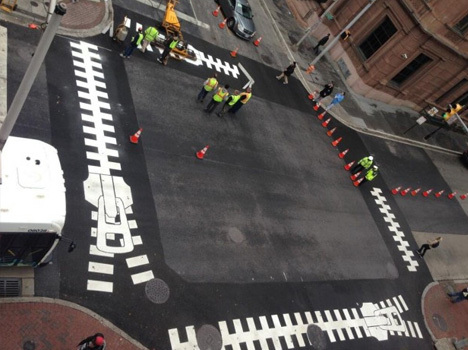 Sponsored by the Baltimore Office of Promotion and the Arts, the first two of the series are already complete with two more yet to come. 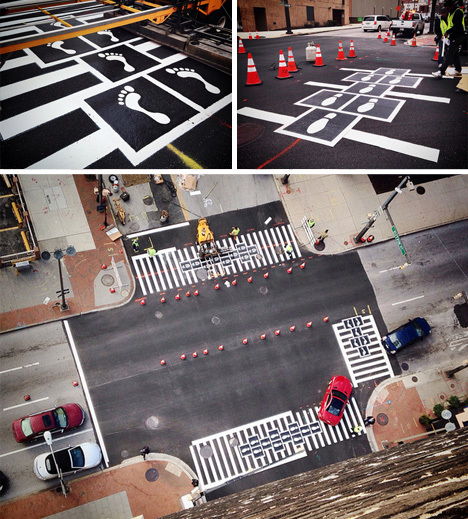 Artist Paul Bertholet is behind the giant zip-up crosswalk while Graham Coreil-Allen designed the hopscotch-styled variant (additional images below by Graham Coreil-Allen). 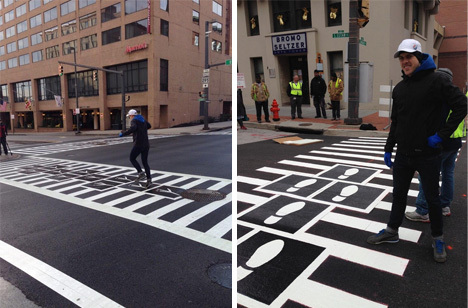 One goal of this set of projects is to add a creative touch around the city’s Westside Arts and Entertainment District, attracting visitors and interaction while helping define the neighborhood.